Today at Google I/O 2017, Google and HTC announced a new Daydream VR compatible Vive headset. This new device in the Vive family is a standalone unit that does not require a PC or a smartphone to power the experience and is completely wireless. HTC says that this will be one of the first standalone headsets to support Google’s Daydream platform, which implies other headsets are coming too. HTC is not revealing much about its new Vive right now. The hardware configuration is unknown, but Qualcomm has been hinting at several standalone VR headsets coming this year that will be using its Snapdragon 835 SoC, which would seem to be a good fit for the Vive. Battery size was not specified either, but without the need to carry an entire smartphone in the headset it should be able to put that volume and weight savings towards a battery that’s larger than typically found in a 5.5-inch phone. It will support the new Daydream WorldSense motion tracking, though. 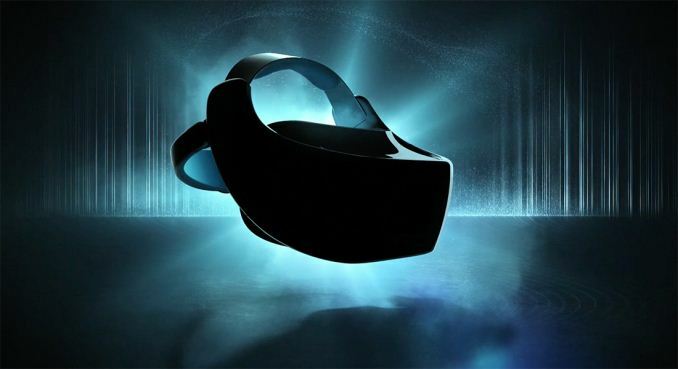 The standalone Vive will be available “later this year” for an unspecified price. Not games no. Stuff like Google earth virtual tourism etc though...... Being totally self contained is even a big plus for that, esp if combining with a year Millie such like. Google mentioned working with Qualcomm, HTC and Lenovo in their extra boring I/O keynote. Your point about battery is a bit odd, it's an indoors only device and not much of a point for large batteries, in fact less would be better - that's true for the next decade. Removable battery would be good though. How can this do proper VR? My GTX660 is no where near powerful enough for VR, I think only think right now are 1070+ cards. Its pure magic to be able to put that into a headset formfactor. Daydream VR is a Google standard for mobile VR, including both APIs for apps and hardware specs. I think Snapdragon 810 was the first that could support it. Yes, the graphics are pretty basic. pretty sure this will be no different from having VR on your phone.